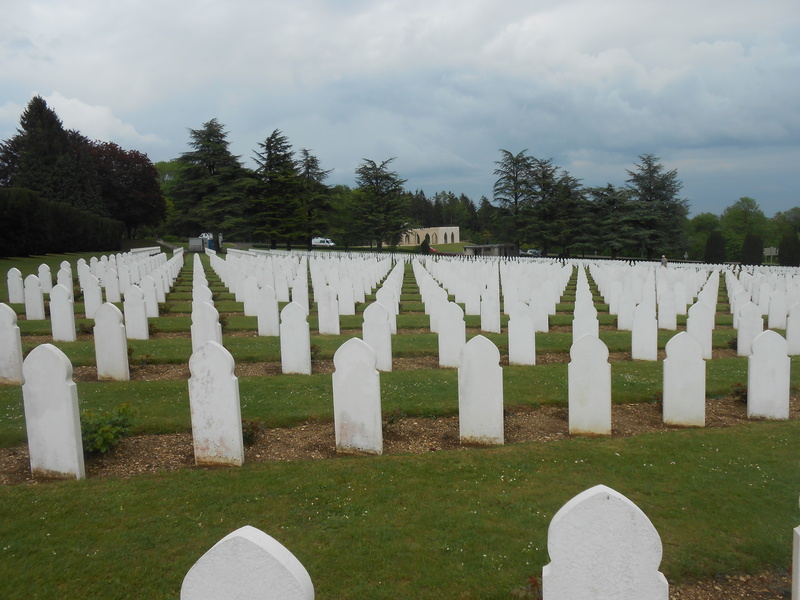 #verdun2016 : Visiting the battlefields of Verdun. Verdun is a small city in the French North-East. Its location, in a valley close to the Belgian, Luxembourgian and German borders, makes the city an important strategic place. Furthermore, it is one of the passage point to cross the Meuse river. 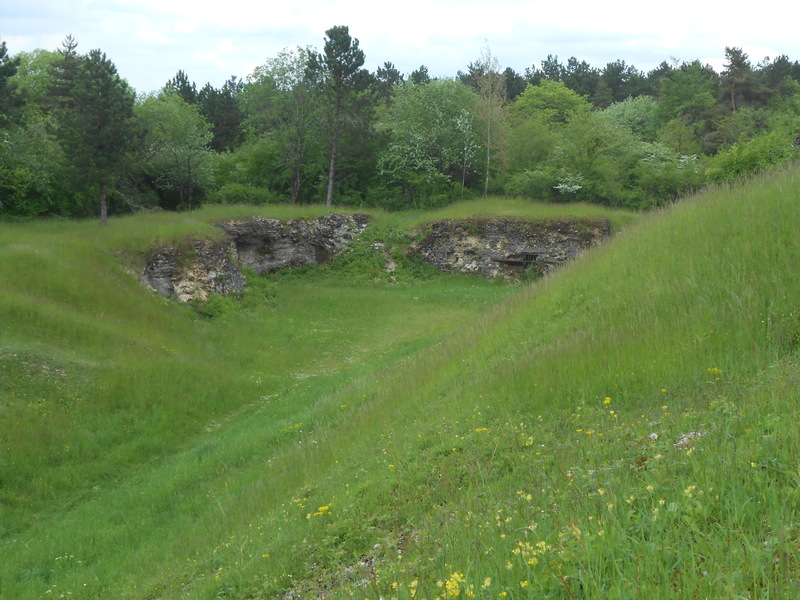 As such, Verdun has throughout history been a battlefield in the numerous conflicts opposing France to its neighbours. In 1916, during the First World War, the Lorraine region is the center of terrific fighting between the French and German armies. At the time, the Verdun region was heavily fortified by some 30 forts although in bad shape and undermanned. The hills and the Meuse river were natural defenses complicating any advance by an enemy army. However, the German High-Command saw Verdun as an easy target to capture due to its weak communication and transportation facilities, the lack of artillery and men in the forts. On February the 21st 1916, General der Infanterie Erich von Falkenhayn, the chief of the German General Staff launched his offensive around the Verdun. His objective is to dry out the French resources and destroy the moral of its soldiers and pursue the German advance towards Paris. To envisage a victory in the war, Germany had to destroy the French will to fight and assure that casualties are inferior to those of France. If the French armies were to be destroyed, Germany could then seek a victory over the United Kingdom, mastering the seas but weaker on land. The front of Verdun stabilized and became a representative image of WW1 fighting : a war of positions, of trenches, of constant artillery fire with soldiers stuck in the mud. The German forces had the upper-hand at first, able to gain territory and capture forts like Douaumont ( the most famous of them ). The city of Verdun suffered terribly of the artillery and was half destroyed. For several months, the battle of Verdun was a game of small advances, small retreats, and artillery. Every day. From both sides. However, Germany had to fight on several fronts. In both Western and Eastern Europe. During summer 1916, the Russian Empire launched a successful offensive lead by General Brusilov in Ukraine ( the June 1916 Brusilov Offensive ) forcing Germany to reorganize its troops. In July, a Franco-British force launched the famous battle of the Somme, not far from Verdun, forcing Germany to weaken the Verdun front. In autumn 1916, France counter-attacked Germany and in December 1916, the battle of Verdun ended with a victory for France. Around 143,000 German soldiers died or were missing and France had 160,000 casualties. Hundreds of thousands were wounded. These ten months of battle resulted in no consequent strategic or territorial gain. Sgt. 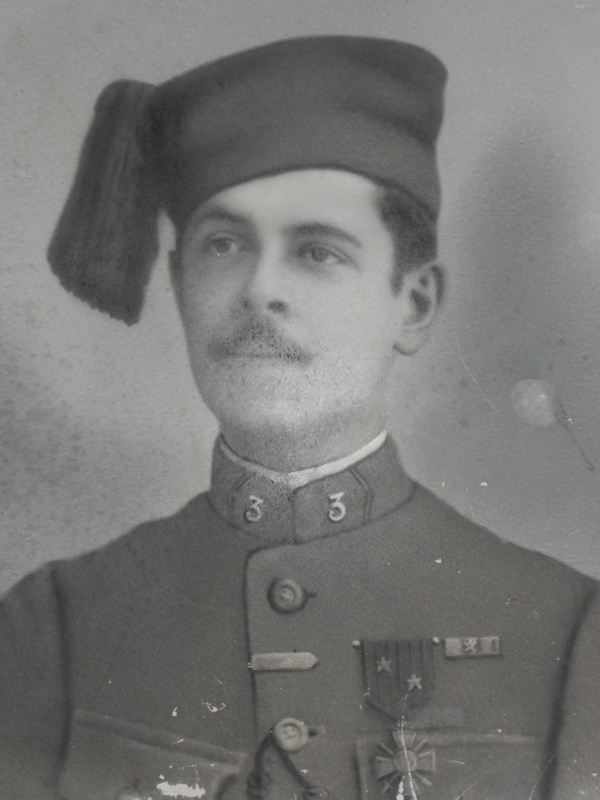 Julien Roy, a decorated veteran of the battle of Verdun on Hill 304, only several kilometers North of Verdun, aged 21. Despite having been a non important battle in terms to strategy, it became a myth in France. The battle of Verdun is known to everyone. Propaganda started to mystify Verdun during the battle itself. “ France’s sacred ground and land ” was in peril and needed to be defended at any cost. Most of the French soldiers ( perhaps 70% ) went to fight at Verdun at least once. The phrase ” Verdun, I was there ! ” was the way of the Poilu (the French soldier ) to say he fought in the most famous battle of WW1. So far in the war, the French army had not fared too well and took heavy casualties but the opposition that the blue uniformed soldiersdid against the Germans was praised and amplified. To die for the Motherland was the ultimate sacrifice one could give, it was the duty of every citizen of the French Republic. Newspapers, from France but from other allied countries as well, reported the heroism of the Poilus. After the end of the war in 1918, the memory of Verdun was put to the service of French patriotism and nationalism. Under the patronage of Philippe Pétain, the popular among soldiers ” hero of Verdun “, many monuments were built in the region, at places where terrible battles were fought. Pétain played an important role in the defense of Verdun. With his famous ” Courage … we will get them “, he was seen as a general who cared for his men and did not see them as cannon-fodder. Verdun was the ultimate battle to protect France, its national territory and sacred land from a foreign invasion. In the post-WW2 France, the construction of Europe and the rapprochement between countries, often old enemies, changed the way the battle was seen. Verdun became the example of futility, of unnecessary bloods-shed, of the danger of extreme nationalism. In 1984, German Chancellor Helmut Kohl and French President François Mitterand met at the fort of Douaumont, symbol of the suffering of soldiers, and shook hands. Verdun became a ” never-again ” symbol while France and Germany are now building their friendship. On the 29th of May 2016, French President François Hollande and German Chancellor Angela Merkel met at Verdun and Douaumont to mark the friendship of their two nations and pay homage to the men who died one hundred years ago. There are plenty of reasons to visit the region : devoir de mémoire, searching for the grave of a dead relative, green tourism, there are plenty of choices. While visiting the Verdun region you are not far from the Somme region or the Argonne, two other places where deadly WW1 battles were fought. It is also close to Belgium, Luxembourg and Germany. 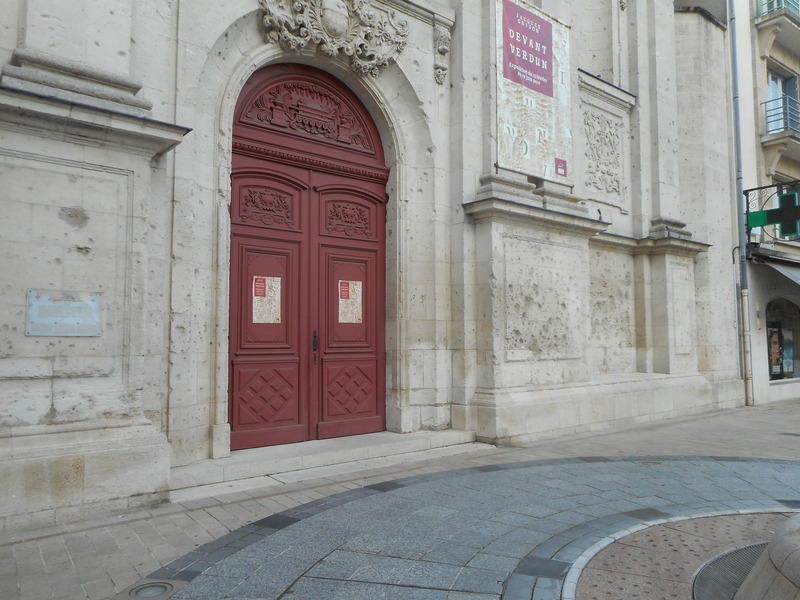 The city and the surroundings of Verdun are tourist friendly, with information often written in English and in German. The city, having been rebuilt after 1918 as many relatively new buildings. It is built on the two river sides of the Meuse and has a barging activity. It has a large selection of religious buildings to visit or use for the most predominant faiths : The Notre-Dame cathedral for the Catholic faith, a Protestant church, an 18th century synagogue and a mosque. Many of the monuments in Verdun are dedicated to the memory of the Great War. 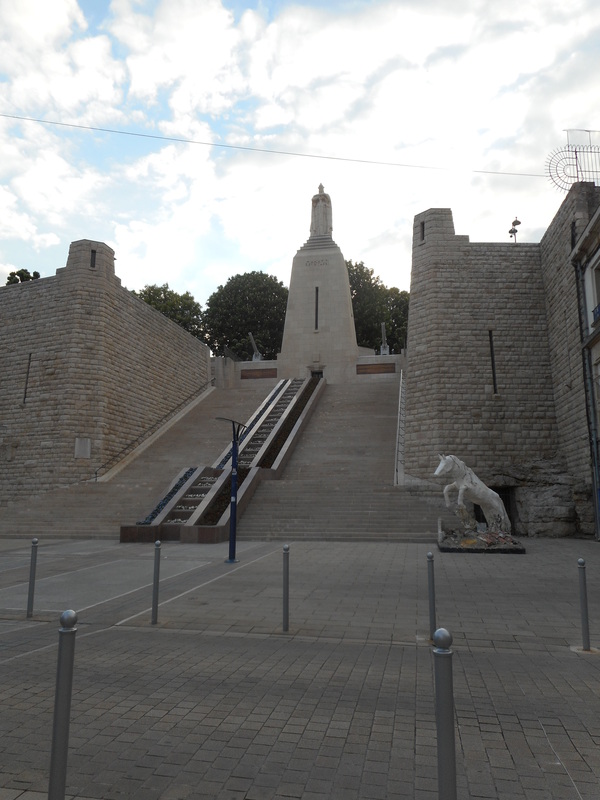 The 30 meters high Monument to the Victory and to the Soldiers of Verdun was built in 1929 by architect Léon Chesnay. Locating downtown, this imposing structure is one the iconic monument dedicated to the war. There are many more monuments in the city as its atmosphere is impregnated by the memory of the war. 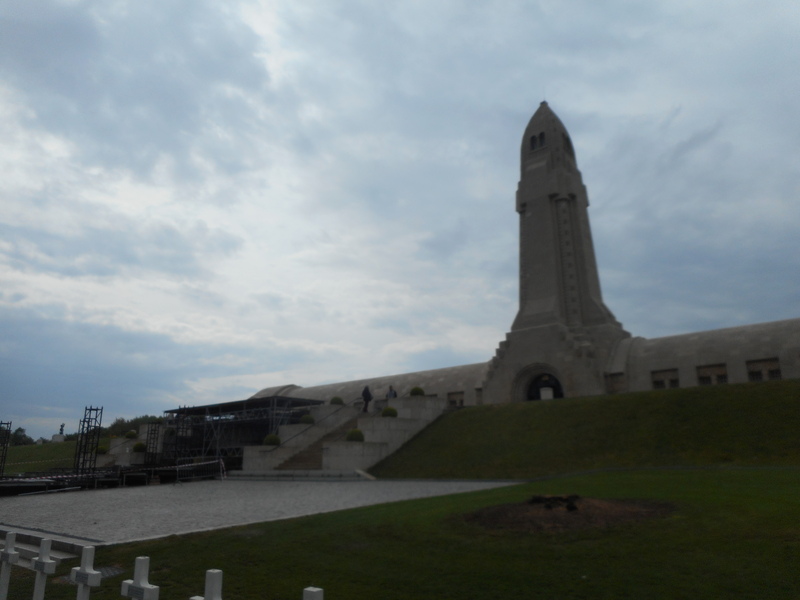 The ossuary of Douaumont, close to the city of Verdun, is known worldwide because of its imposing stature and thanks to an important press coverage for the centenary of the battle. 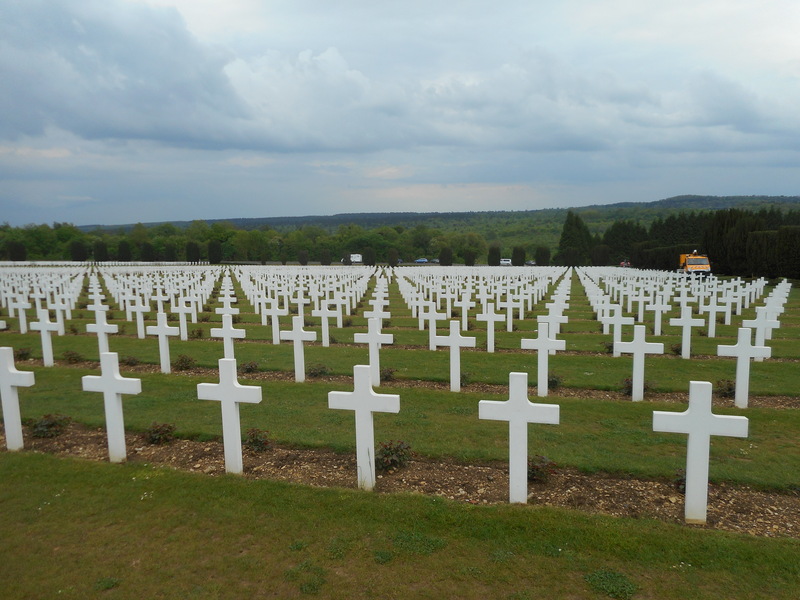 It is made of an important cemetery with 16,142 of French Catholic, Muslim and Jewish soldiers. Though it is not the biggest military cemetery in France ( it is the Nécropole Nationale de Notre-Dame-de-Lorette in the Pas-de-Calais with 44,000 graves ) it is the biggest ossuary in France. On the lower edge of the building, through small windows, can be seen the remains of 130,000 unknown soldiers, both German and French, who could not be buried in individual graves. The idea of the ossuary was from Charles Ginistry, bishop of Verdun. Inside the ossuary the names of French soldiers who fell in the Hell of Verdun are written on the walls. Exhibitions about the battle often take place inside. Visiting is free but if you want to admire the view from the top of the tower there is fee ( around 6€ ). A souvenir shop is also available, the funds helping the maintenance. A view of the Muslim Square where colonial soldiers who died are buried. 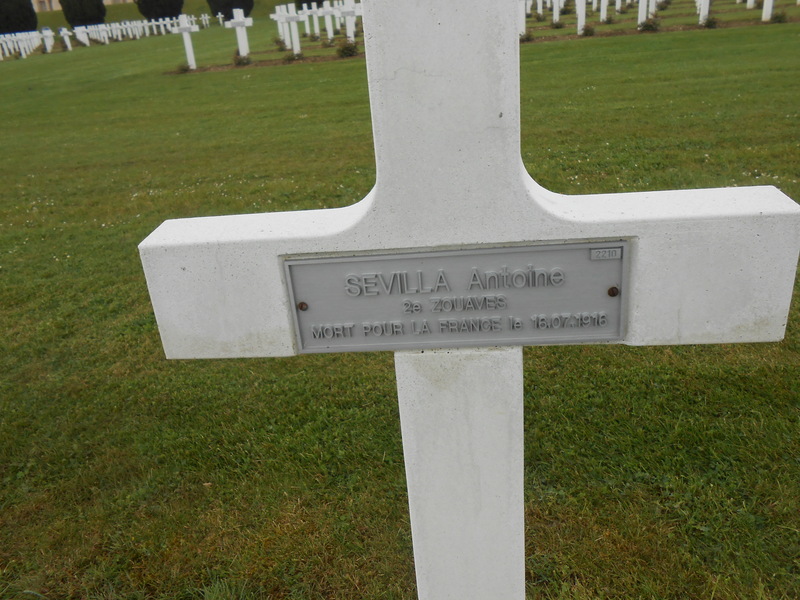 The grave of Pvt.2nd Class Antoine Sevilla, born in colonial Algeria, who was killed at Verdun, aged 27.